There was a hand-drawn schematic and a pcb layout floating around for it in April 2007 (I think on the other forum). Eb7+9 -- Re: Bi-Filter w/Hammer mods: Relatively subtle effect? Quote from: bellyflop on 24-01-2006, 05:03:03 wrote: ... definately not an in-your-face effect. The hard work we already did. The zip file contains all the above and an mp3 demo of the clone we built. any chance some kind soul could re-up the schem for this old gem please? looking forward to getting into it more, seeing if i can restore it. ya'll are "da bomb"...thanks again!!!! pinkjimiphoton wrote: thanks so much!!!!!!!!!! I picked up one of these a couple of months ago off a forum at a good price. It's really a cool pedal! i really like it, especially the "phasing" aspect of it. if you tweak the pot a little, it can be a very usable wah, not as nasal and puky as the crybaby i modded. 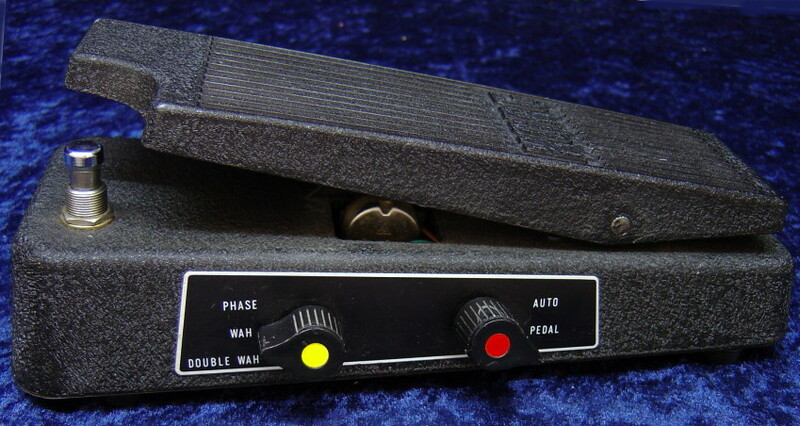 i never really used it much, thought of it as a treadle controlled phaser. but the double wah effect is very much a formant filter. i have one of these, working, so if there's anything i can do to help make this thing cloneable for anyone, let me know and i'll do my best to gather info. I just want to share my humbe ideas for mods for this lovely pedal, that may (or may not) make the sound more pleasing and may lighten up that switching jungle in the FK-2 a bit, making clone builds easier. -Omitted the 220k and 330k feedback resistors. Similar to the Phase 90 "script mod". -Changed the first OpAmp (Mixing Amplifier) to an inverting amplifier with a gain of -1 instead of +3. This increases the clean headroom of the filter, saves the inverting JFET stage at that point, and saves some coupling capacitors - the Opamp can be biased like all other opamps, so direct coupling is possible here. -22k Output feedback resistor in the wah modes (the one on the 4 pole switch) can be omitted - I couldn't see its benefit in the simulation. -Wah feedback is not taken from the output of the second phase shifter stage, but from its high pass section. To do that, the high pass is buffered before connecting to the phase shifting mixer. See schematic. My goal here was to get some degree of peaking lowpass character - similar to what I understand is the response of an inductor wah. The FK-2 originally has a bandpass response. Lower than 23.5k, the resonant peak will get smaller again, and the treble rolloff will be stronger. Lower than 10k may not make much sense... For 33k, we have about 8 dB treble attenuation, should be subtly audible. Hope this all is understandable. Feel free to ask back. What do you think? Suggestions?